I'm a big fan of snickerdoodle cookies. I've made them many times in the past. You can check out the recipe here. 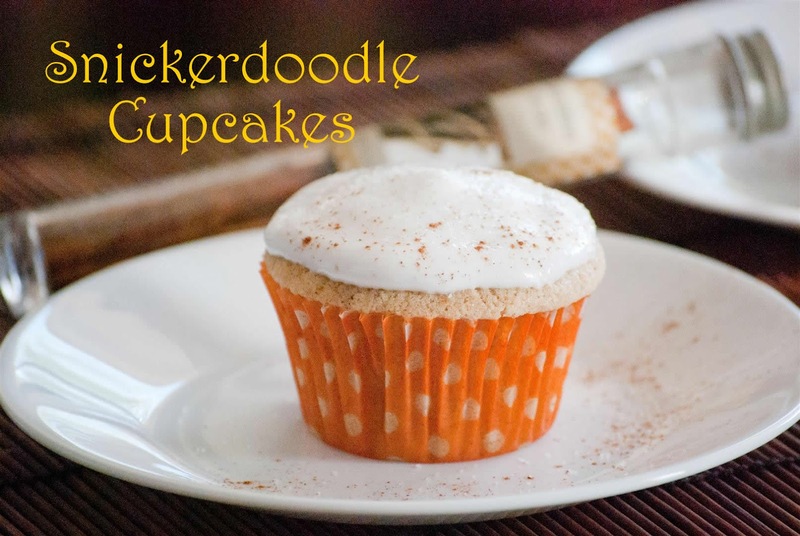 When I saw this snickerdoodle cupcake recipe, I was so excited, I thought I would give it a try. It turned out supermoist and resembled more of a muffin, making it the perfect breakfast delight. To finish, combine remaining 1/2 teaspoon cinnamon and 2 tablespoons sugar. Using a pastry bag fitted with a large plain tip (Wilton No. 1A), pipe frosting on each cupcake: Hold bag over cupcake with tip just above top, and squeeze to create a dome of frosting, then release pressure and pull up to form a peak. Using a small, fine sieve, dust peaks with cinnamon-sugar. Cupcakes are best eaten the day they are frosted; keep at room temperature until ready to serve. I tried the seven minute frosting and to my disappointment, it didn't remain fluffy to give it the height and puff its supposed to be. Sometimes things just don't work out for me and this so happens to be one of those times. It's a good thing, I don't normally eat frosting ;) I'll be eating my snickerdoodle cupcake, bare, just the way I like most cupcakes.